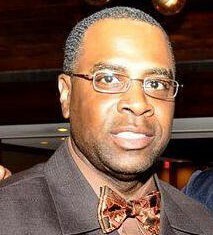 Howard L. Covington, Sr was born in Dallas, Texas. Graduated from Business Magnet High School, 1990. Howard resides in Ewa Beach, HI and is accompanied by his son, Howard L. Covington Jr., 20yrs who currently attends California Polytechnic State University. He has four brothers and 2 sisters that currently reside in Garland, TX, and he is divorced. He received an AA-Management, (1999), Chaminade University, HI, a BS-Business Management (2001) from Park University, MS-Logistics Management (2007), from Florida Institute Technology, FL. He entered the United States Army in March 1989. He attended basic training at Fort McClean, AL, and Advanced Individual Training (AIT) at Fort Leonardwood, MS as a 51K Plummer. He later reclassed to a 76Y, and attended Advanced Individual Training at Fort Jackson, SC. He attended Warrant Officer Candidate Course (WOCC) at Fort Rucker, AL and Warrant Officer Basic Course at Fort Lee, VA for his technical qualification as a Property Book Officer and master logistician (920A). His career management field led him to serve at various organizations in various levels and capacity throughout Southwest Asia and the Pacific. His assignments include: Schofield Barracks, HI 1/8 Field Artillery (1991), Fort Gordon, GA, 202nd MI BN (1994), Camp Edwards, Korea 82nd EN, 2ID (1997), Fort Bliss, TX HHB 6th ADA BDE (2000), Camp Casey, Korea DIV Support CMD (2001), Fort Stewart, GA CORP Support Group (2002), 260th QM BN, HAAF, (2004), 3rd Infantry Brigade, 3ID, (2005), Fort Shafter, 8th Theater Support CMD (2006), Schofield Barracks, HI Infantry Division, 3rd Infantry Brigade, 25ID, (2009), Schofield Barracks, HI, Intelligence and Sustainment Company, 25th ID (2014). His deployments include, Liberation of Iraq, Transition of Iraq, Iraqi Governance, National Resolution, Iraqi Sovereignty, and Operation New Dawn. His military education includes: Property Account Technician Warrant Officer Advance Course (2006), Warrant Officer Staff Course (2012), Warrant Officer Senior Staff Course (2013). He is also a Demonstrated Master Logistician (DML) awarded by The US Army Logistics University (ALU) & International Society of Logistics (SOLE). He is a member of National Property Management Association (NPMA). He has received the Distinguished Order of Saint Martin and the Order of Saint Barbara. His awards and decorations include: Bronze Star Medal (2nd Award), Meritorious Service Medal (2nd Award), Army Commendation Medal (6th Award), Army Achievement Medal (6th Award), Good Conduct Medal (2nd Award), National Defense Medal (2nd Award), Iraqi Campaign Medal (6th Award), Global War on Terrorism Service Medal Expeditionary, Global War on Terrorism Service Medal, Korea Defense Service Medal, Noncommissioned Officer Professional Development Ribbon (2nd Award), Army Service Ribbon, Overseas Service Ribbon (5th Award). He is currently employed at BAE HSY as a Craft Manager. He is a life member of the NAACP. 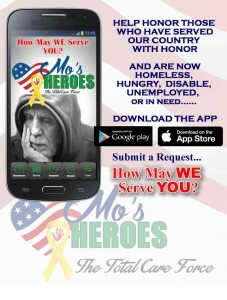 He serves as the State Director for Mo’s Heroes a National Organization that supports Homeless Veterans and serves as the State Director for BlackBerry Seed Legacy Foundation, LLC. He is fully engaged in community building, he mentors youth and aspiring entrepreneurs.